Team Duct Tape Wins Inspire Award! Team Duct Tape competed in our first qualifying competition at Hillsborough High School — Face Off! Break Down! — in Tampa on Saturday and won the Inspire Award. We’re fully cognizant of the fact that we did not earn this award alone. Team Duct Tape earned the Inspire Award because team members felt inspired by the guidance, support and encouragement of mentors, sponsors, friends and family and we’re very grateful to all of them! Mentor Paul Markun’s educational and technical guidance, and his moral support have been, and continue to be,deeply appreciated. If ever there was a friend of Team Duct Tape, it’s Paul Markun and Tampa Technik. 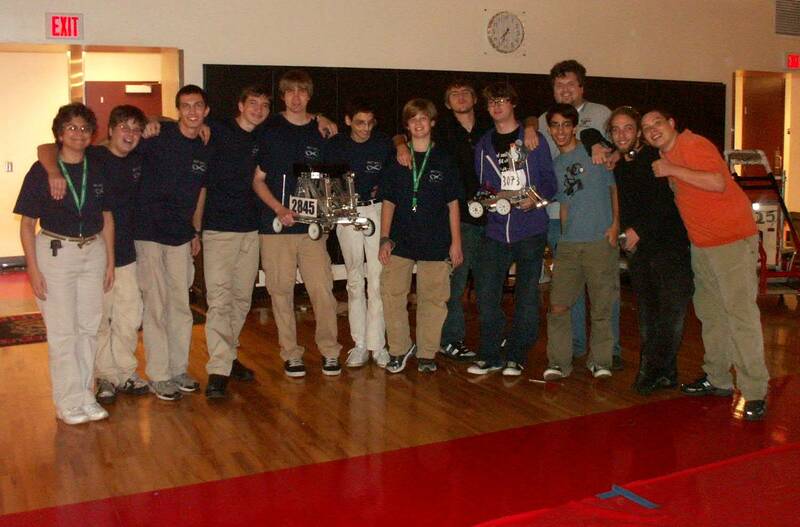 The Florida West Coast Section of the American Society of Mechanical Engineers has also been instrumental in Team Duct Tape’s success. Their financial support helped make our team “look” possible, helping pay for our team shirts, and it is making it possible for us to continue to compete by enabling us to purchase needed parts to keep our robot robust and efficient. We’re really looking forward to working with FWCS-ASME mentors between now and our next competition. RDesign created a wonderful logo for us, that we combined with team member designs for a crisp, eye-catching image that captures the fun-loving aspects of Team Duct Tape and helps bring our team a unified, recognizable look. And Learning is for Everyone picked up the balance of the t-shirt costs and continues to provide educational and community outreach support for the team. Family members have been one of the strongest aspects of this team’s success, financially helping establish the team, morally and physically supporting the team by making sure team members make it to meetings and field trips, and indulging our long working meetings with patience, good humor and a hefty supply of snacks. An enormous thank you to all of Team Duct Tape’s supportive and encouraging families! Face Off Break Down was the first FTC Qualifying event using the new platform and Field Management System to be held anywhere in the world! We were your FMS guinea pigs. 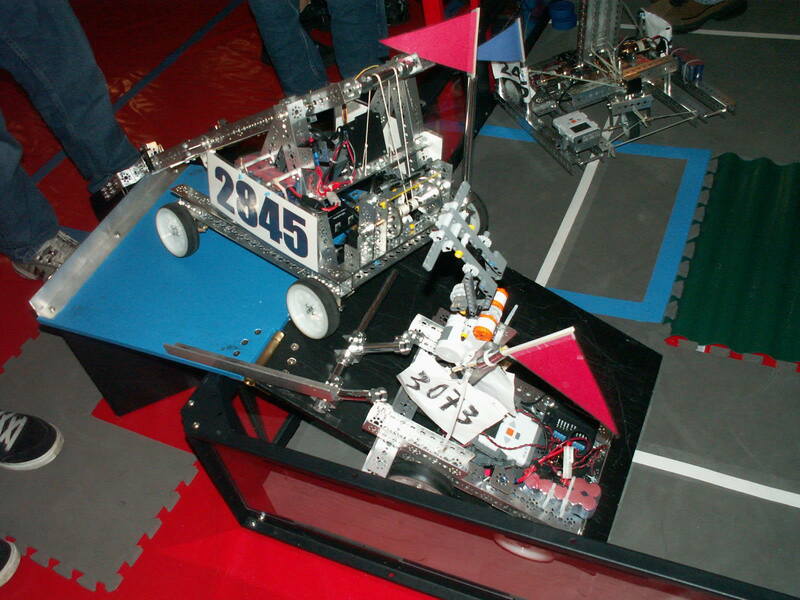 But other than a few FMS glitches — many due to teams not being prepared before the start of a match (visit FIRST FTC for info on how to be ready!) — and getting way be hind schedule, the event was enormous fun! Hillsborough High School math teacher Marian Manganello and team Hydra pulled together a terrific event! The new FTC robots are robust and can really take some punishment — and the game does get punishing! Four robots flailing various puck gathering appendages around in a two minute heats makes for some real entertainment, and sometimes the matches became more of a contact sport than expected. Team Duct Tape held its own though — bringing in the highest scoring match of the event: 118 points, and winning not only the Inspire Award but, along with Team #3073, the Robot Ravens, earning the Winning Alliance Award. 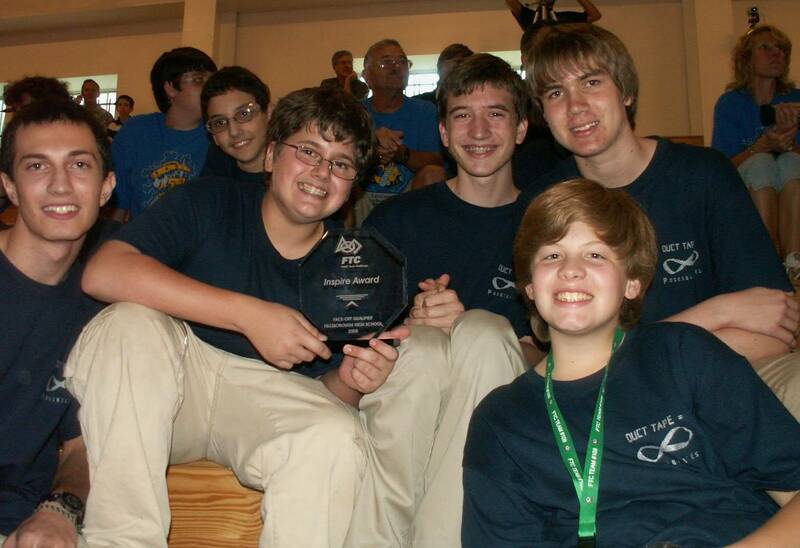 We’re excited about going to the Florida State Championship with such a great team and look fo rward to a Team RoboDuck alliance again soon!